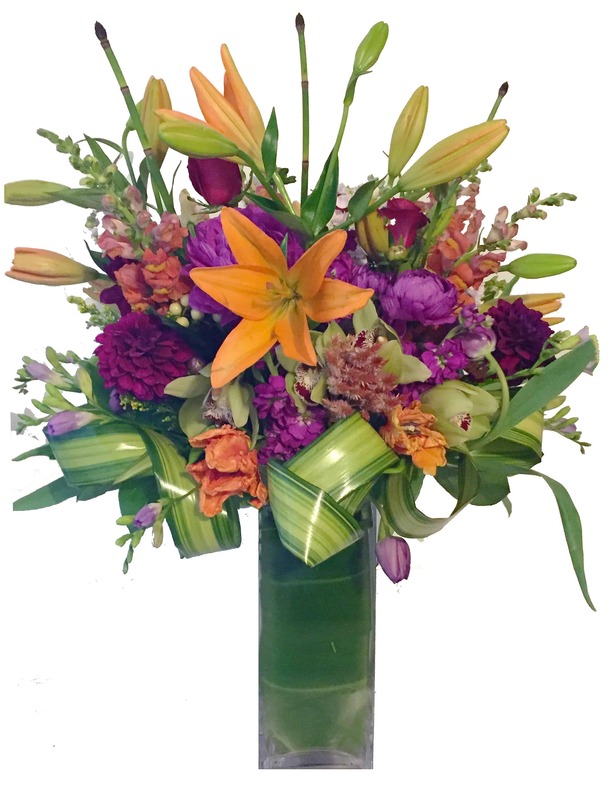 A bountiful mixture of the most popular longer stemmed seasonal flowers in stock wrapped up in a beautiful vase waiting to send your love and wishes of cheer to all. Shown with an array of beautiful hues of pinks, purples, peaches and creams. Sometimes only flowers can express your deepest feelings and this stunning bouquet does it with elegance and eloquence!